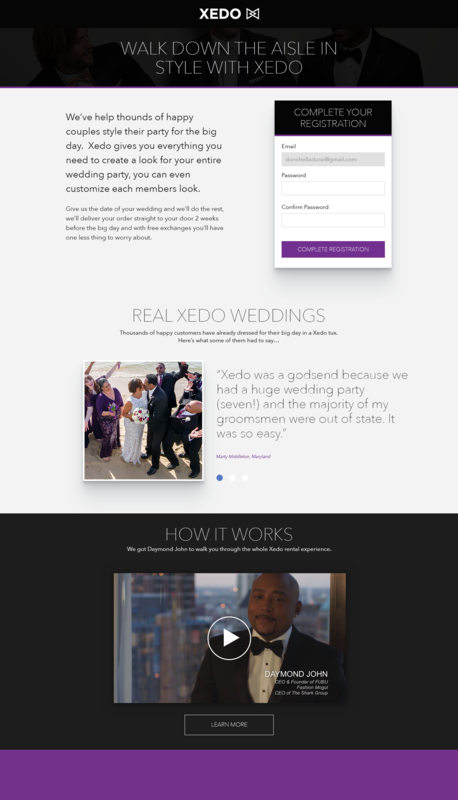 During my time at Xedo I worked on a lot of iterations to the primary website Xedo.com, below is just some of those finished designs. As part of an A/B test to improve the Try-On journey we updated the collections page. Updates included filter functionality, a compact product grid compared to the old spread out design, and "Free Try-On" inline advertising to promote the service. This Referral landing page was designed to re-enforce our services and products when someone who had signed up at a trade-show or instore was logging on for the first time and was required to finish creating an account. I worked with the marketing department on the copy for the page as well as securing the testimonials. 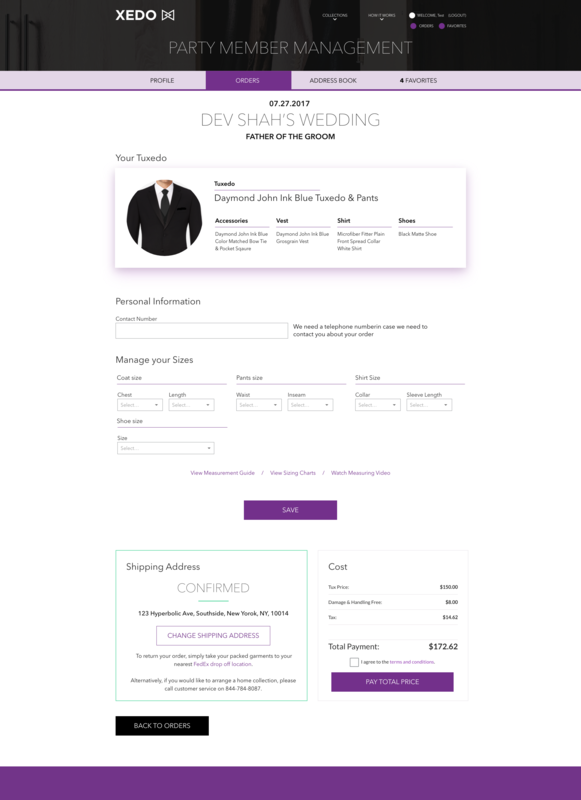 The single member management page is usually the first time a party member who's not the groom will visit Xedo.com so it needs to look professional while giving the user the information they need as well as clear instructions on what they need to complete.